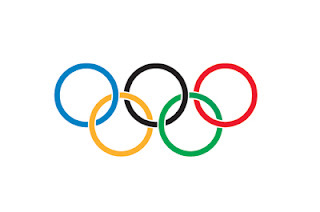 Fans of me will not be surprised to learn that I'm a big Olympics follower. Over the next few weeks, it will be absolutely inevitable that I will become entranced with some ludicrous sport, probably one which can't be played unless you have a horse and a gun and are in some way related to a Marquess. But no matter. Because the Olympics is where it's at. Nothing else in the sporting realm is like it for me. Nothing has the same excitement and, in no small part, the same emotion. Match of the Day has never seen me shouting at the TV set at 6 a.m., or getting weepy in my dressing gown at 11.40 p.m. as someone manages to achieve their actual dreams. Winning at the Olympics must be the very greatest thrill of them all. I live in hope that the London games in 2012 will introduce a raft of new sports which will allow me to compete. I'll only be 32 then, and clearly in my physical prime. As such, I'm going to cover all my bases, starting with darts before moving onto the tactics and strategies of Screwball Scramble. I also believe I would be able to challenge for gold in drunken armwrestling, as long as my friend Kate isn't also in the team. Or any of my other friends. Or anyone I know, or will meet between now and then. As befits my role as a sports enthusiast AND an internet celebrity, I will do my best to blog the buggers out of the Beijing games in my usual hard-hitting and thorough style. On certain days, I will claim to be in China. You will have to indulge me on this. I will be giving all my Olympic posts the fetching tag 'Dotlympcs' for easy access. People who enjoy my sports blog-me-do AND also like motor racing might be interested in this new blog, wherein I will dump any thoughts I have about racing cars and/or Katherine Legge.